If you're in the business of buying/selling domains and websites, you've probably at some point come across Flippa. There's mixed reports on it, but used in the correct way, it can be an effective way of building an online income, or for online Entreprenerurs to raise capital for a new venture. I started browsing Flippa back in 2013 and like everyone else, I could see the obvious scams. However, the scam I fell victim to was more elaborate and involved the use of a private blog network. I'll run through all the obvious things you should watch for before you should even look at Flippa. A common scam is sellers who buy a pre-existing website template and product from a site like Jvzoo or Master Resell Rights, set up the site and then claim they have a ready-made “product” – often these scams will fetch the seller around $100. Be vigilant and check out the traffic closely – if it appears to be low quality, third world country traffic, chances are it’s been bought. It can give the appearance that it has a steady stream of traffic which generates the revenue. So ask, where does the traffic come from - is it organic, Facebook ads, or what? Find out exactly why the site is making money and how much. Don’t be pulled in by Paypal account screenshots, as these could potentially be photoshopped. Where are the buyers coming from? – is it from organic traffic, Facebook ads, or some other source? An obvious one, but if its been listed multiple times, without selling, chances are there is something putting off potential buyers. Especially if the sellers accounts in the previous listings are now banned. This is a last point, which I have NEVER seen mentioned anywhere. It’s partly how I was scammed and I want to impart this last point of wisdom so you are more educated than the majority of Flippa buyers. So here’s where our scam happened.. 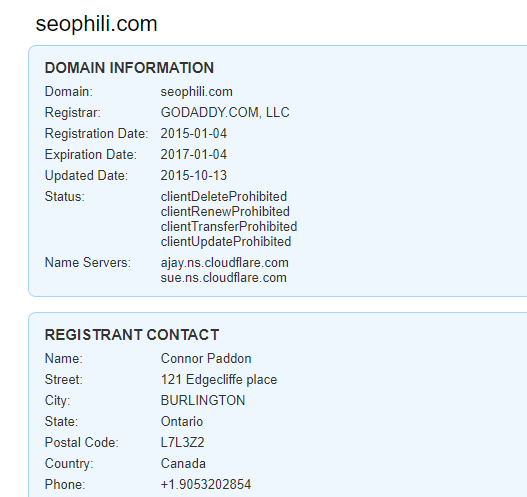 Between the 3 victims, we bought these 3 sites from the same Flippa scam ring. At the time of listing, these 3 sites appeared to be making an income, were in fact ranking for various keywords for their cities. I.e. 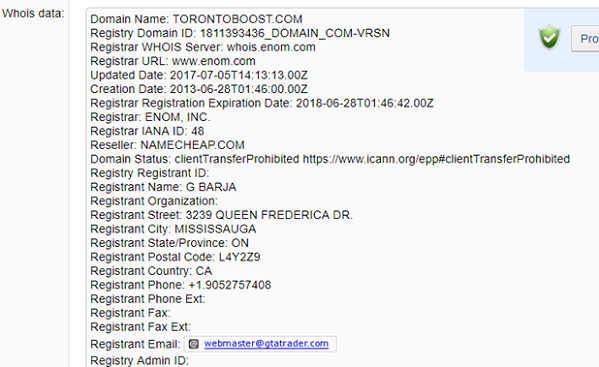 according to the listing Torontoranking.com ranked in the top spot for “toronto seo prices”, number 2 for “toronto seo” and ranked in the top 5 for many others. This was in fact true and accounted for the traffic and customers that were driven to the site. However, after handing over payment, rankings dropped dramatically – much faster than normal and all 3 victims were left with a useless website, which didn’t rank anywhere near the top for any keywords and had almost zero traffic. How did it happen? Well, according to the scammers – “it’s a Google update and we can’t control that”. End of story right? Not necessarily..
Had that been the case, how would they have then quickly ranked a 3 other SEO companies, in the same cities and sold these straight after? The seller “cpaddoncpaddon” confirms that he owns 2 of these new companies. From our own investigations we found his accomplice also runs Torontoboost. All of which then ranked for various search terms. In essence, Connor and Gerald de-ranked the 3 previous sites and ranked these 3 new companies, driving customers away from our companies to his. We came to the conclusion that they used a powerful PBN (Private Blog Network) to quickly de-rank and rank the SEO companies. The pointing the links in the network at a website, they could quickly rank for their search terms. However, as soon as they remove the links and point them at a new website, it will de-rank the first one, and rank the second. That’s how the scam was perpetrated. Now, we obviously had limited knowledge at the time of these black hat methods. 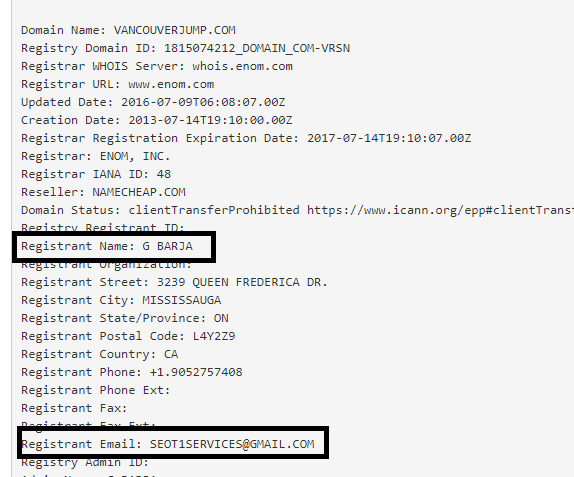 But in hindsight – we should have asked for access to the Webmaster Tools for these sites. After invetigation, that would have revealed that they were propped up with PBN links, and would have changed the nature of the deal entirely. While this is a very specific, and unusual type of fraud, I hope it opens some eyes to just how dificult it is to be 100% secure that you’re getting a good deal online, especially when dealing on Flippa. It pays to do your due diligence, but even if it seems to hit the right notes, be vigilant and be prepared. That’s our story over, but if you think you may also have been a victim of this scam ring, please get in touch with us via to comments.